If you package your coaching offers this way, you need to STOP. RIGHT. AWAY. Please. I know it’s not your fault that you’re packaging your sessions that way… That’s basically been the ‘standard’ way of selling coaching services for a long time. But since you’re reading this article right now, I hope that you will stop using this approach. Why should you stop using this approach? Here’s the truth. Your clients don’t buy coaching. They don’t wake up the morning and say to themselves, “I need to look for a coach.” At least majority of them don’t go out in search of a coach. They go out in search of a solution to a problem they want to get rid of. Or for a result they want to achieve. Your clients don’t buy coaching. They buy a SOLUTION. They’re buying RESULTS. So when you package your coaching into time-based coaching sessions, it makes it very difficult for your potential client to determine what they’re paying for and what they’ll get. When you package your coaching offers into time-based coaching sessions, you’re essentially selling TIME. And that’s not what your potential clients are looking for. They’re looking for a solution. They have a problem or challenge. And they need a solution. 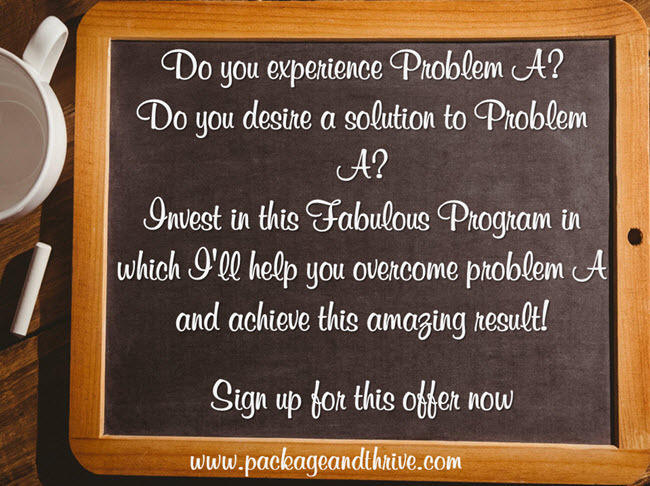 Your time-based coaching package does not tell your potential client if their problem will be solved by the end of the coaching session. They’re not even sure that you can solve their problem. And if they suspect that you can solve their problem, they’re not sure how much time it will take to solve it. Whatever the case, since you’re selling time, your potential client will prefer that you solve their problem within the shortest time possible. So they’ll usually prefer to get just one of the shorter sessions. And guess what happens? It puts you as the coach into deep sh*t.
I firmly believe that coaching is one of the most powerful transformation tools – and I’m sure that as a coach, you believe the same thing. I’ve seen individuals and teams achieve outstanding results because of coaching; results that even they had thought were impossible. The truth about this type of coaching – the one where the client achieves transformation – is that it did not take 30 minutes. It took coaching over a period of time for this transformation to take place. A client who’s bought a single 30-minute session with you probably has an unclear understanding of what you can achieve in that time. In addition, this client is coming into this relationship with a set of unrealistic expectations – they imagine that you can literally perform magic within the time they’ve paid for. They expect you to solve ALL their problems within that 30-minute session. And unless you’re a magician, you’re unlikely to solve much within that time. It puts unnecessary pressure on you. And it puts the client in a very bad frame of mind – an unfairly demanding frame of mind. You may find that despite your best efforts, you end up having a dissatisfied client who doesn’t want to sign up for another session with you because in their opinion, ‘it was useless’. The client didn’t achieve the result they wanted – they didn’t solve their problem. And that’s what they’d expected when they paid for the 30 minutes. You also end up feeling dissatisfied and unfulfilled. Your joy as a coach comes from seeing your clients achieve the results they truly desire. From seeing their lives transform. You rarely get that in the short, time-based coaching session. 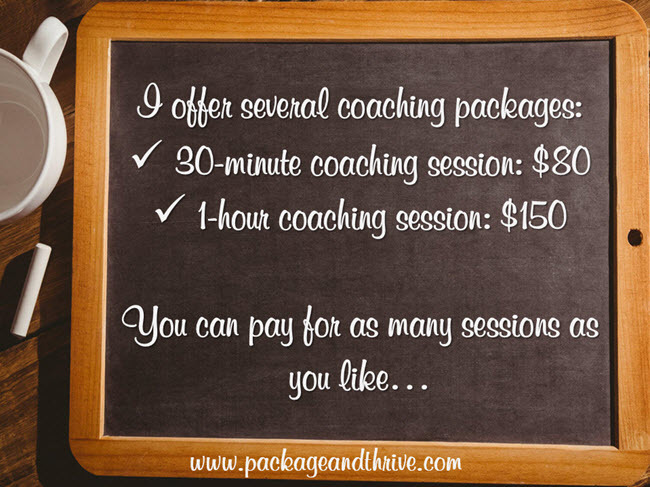 So packaging your coaching offers into time-based sessions is a disservice not only to your clients but also to yourself. So what should you do instead? 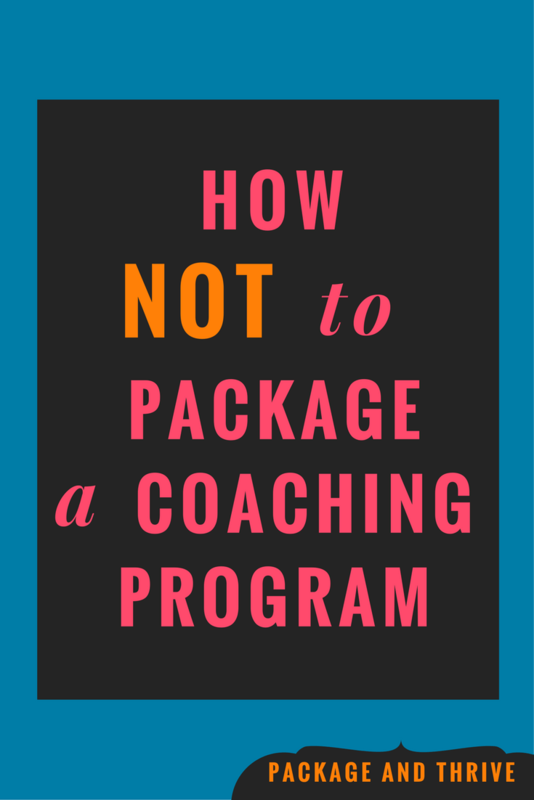 How should you package your coaching offers? Remember, your potential clients go out in search of solutions to their problems and challenges. You should, therefore, position yourself and your coaching programs as the solution to their problems and challenges. When you do it this way, you’ll have created an offer that has all that is needed to move your potential client from the current undesirable situation to a much better future. And that’s much easier to market and sell. It’s very clear to your potential client what they get when they sign up for the offer. They have a clear understanding of your offer, and they can judge whether or not the offer matches what they need. If a client signs up for this offer, they’re more likely to be satisfied with your services. And you’ll be more satisfied and fulfilled because you got to help your client move from Point A to a better future. 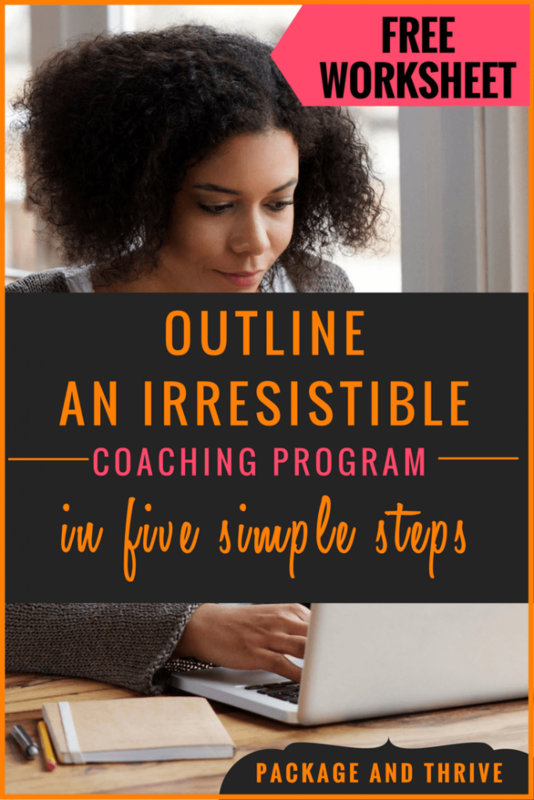 The funny thing is, you may find that when you start creating solution-focused coaching offers, you might have some that only require a 30-minute or 1-hour session for the client to achieve the desired result. The point is, it’s the RESULT or SOLUTION you’re selling. Not the time. So your client comes into this relationship knowing that they’ve invested in a particular result. And they know approximately how much time they need to commit to achieving this result. In this case, you’re asking your client to pay for transformation. Not time. You’re making it possible for your potential clients to choose to invest in true, sustained transformation. Stop framing your coaching offers as time slots. Stop forcing your potential clients to make a decision about paying for time instead of transformation. Stop selling coaching. Start selling solutions and results. Make it easy for your potential clients to invest in their transformation. I’ve created a step-by-step blueprint and worksheet that you can download, print, and refer to as you follow along. Get both the blueprint and worksheet by clicking below.